The Power of AND means Blugolds aren't defined solely by one discipline or profession. 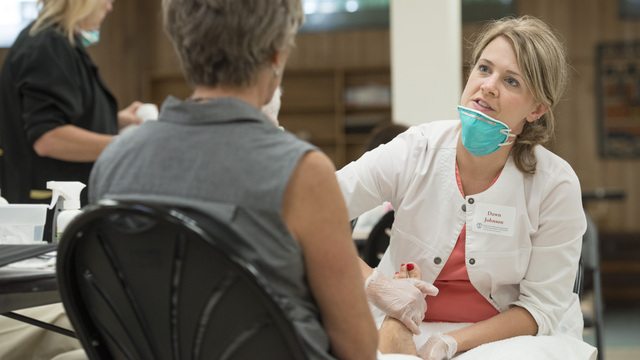 We challenge students, faculty and staff to explore their multiple passions. Because of this broad educational approach, Blugolds are more than the sum of their parts. We're competitive, successful people with the skills employers want: creativity and critical thinking, flexibility and focus, courage and confidence. You'll gain a well-roundedness that comes from encouragement and opportunity to discover your AND! When a Chinese language class caught Katelyn Kannel's eye her freshman year, she had no idea it would shape her college experience and influence how she sees her future. 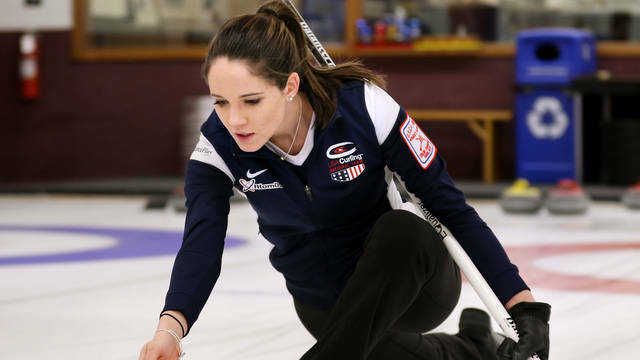 Blugold Jenna Burchesky is in Scotland competing in the World Junior Curling Championships, an international event featuring the top 10 curling teams in the world. 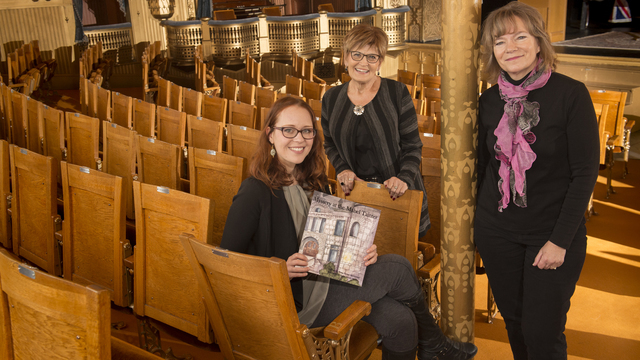 A new children’s book, “Mystery at the Mabel Tainter,” written by Mary Heimstead, a 1975 UW-Eau Claire graduate, and Taylor Kysely, a UW-Eau Claire senior, is a mystery story that takes place in the historic theater. As a UW-Eau Claire gymnast, Destiny Cobbs regularly earns high marks for her balance beam routines. As a Blugold? The senior scores a perfect 10. Simply put, she's packed a lot into her four years at UW-Eau Claire. 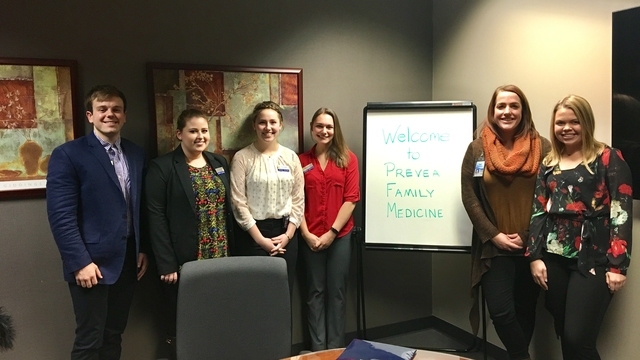 Five Senior 1 UW-Eau Claire nursing students recently presented results of a Eau Claire City-County Public Health Department adolescent survey to Family Medicine residents. 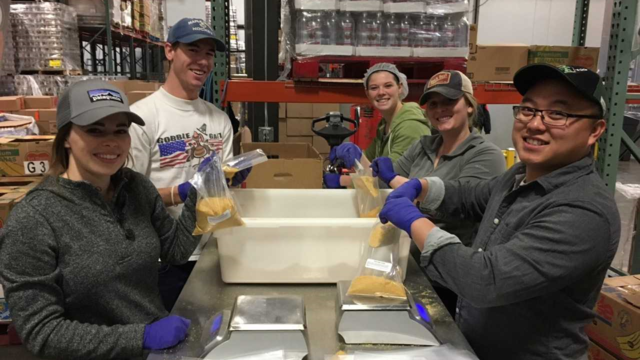 COB students, working with faculty members on in-class and out-of-class activities, have used their talents in service to others. View some examples from 2017. Dawn Johnson came to this understanding while working as a home health nurse in Kanabec County, Minnesota, a rural area north of Minneapolis. Nearly 25 percent of the residents of Juneau, Alaska, live in rural areas. This presents special challenges and opportunities for health care professionals like Physical Therapist Che Plang. 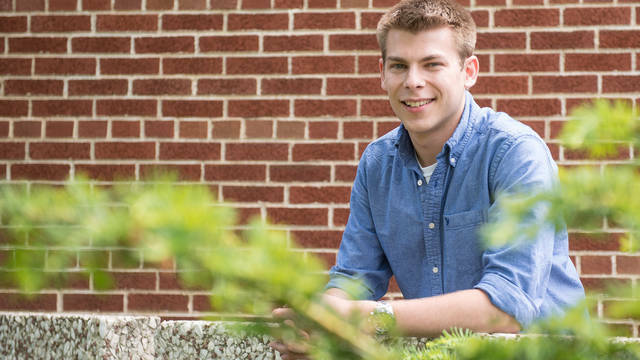 Senior materials science major uses his knowledge of scientific applications to connect the Materials Science and Engineering Center with area industries looking to create or expand production. 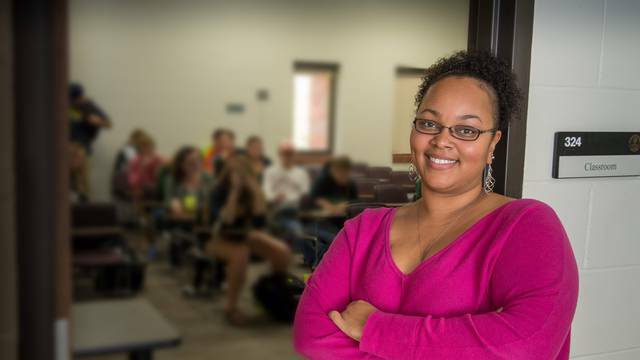 Dandrielle Lewis, professor of mathematics, had earned a UW System award for her efforts in bringing STEM education to minority students. Kate French is captain of the diving team and president of the Student Philanthropy Organization. Community by definition suggests the unity of people based on a shared culture. 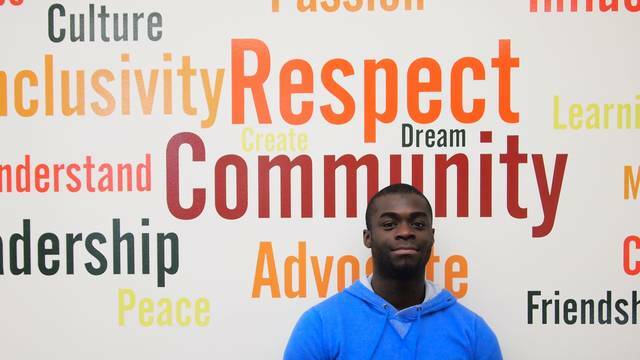 For Calvin Belfrey Jr., establishing and maintaining a healthy community is essential for personal and interpersonal wellness within society. Senior Aubrey Goettsch has a passion for both nursing and singing. As a future educator and a mentor through Blugold Beginnings, Sergei Raspel is creating opportunities AND championing education ... and that’s pretty powerful! By sharing his talents as an educator AND his creativity as an entrepreneur, Dr. Matthew Meyer is helping to prepare students to think critically and creatively while also nurturing his own adventurous and entrepreneurial spirit. Emily Moothart has always been passionate about the environment, but it wasn’t until a sustainability course she took while studying abroad in Scotland that the Blugold knew she wanted to pursue a career in environmentalism. As a Blugold psychology major and campus volunteer, Summer Underwood is gaining the knowledge and skills necessary for her to pursue a career as a clinical psychologist. Audra Boettge, a sophomore business administration major, spends a majority of her time in Schneider Hall. Recently though, Audra has expanded her presence into the theater area, landing a role in the university's upcoming production of "Cabaret." Sarah Kintner came to college with a passion for the environment but never saw herself in a career that aligned with her interest, mostly because she didn’t think she was good at science. She took a geology class, loved it and soon became a geology major. When Haley McKee discovered UW-Eau Claire’s communication sciences and disorders program, she knew she’d found her academic niche and her future career. John Schiel is an accomplished Blugold who is eager to talk about his future career as a teacher as well as his passion for triathlons. The elementary education major and math minor is an active member of UW-Eau Claire’s Triathlon Club. As a Blugold, Monica Weltzien is building her future as a mental health advocate AND a military cadet … and that’s pretty powerful! As a TV reporter, Ginna Roe has had plenty of experience sharing stories about how events have changed others' lives. But it was an experience she had as a Blugold that inspired a series of stories that earned the journalism grad a prestigious Emmy Award. UW-Eau Claire 2009 music grad John Raymond builds a successful, New York-based career as a professional jazz musician and pays it forward through his clinics with young music students across the country.